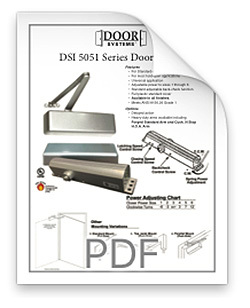 Door Systems® proudly supplies custom-configured DSI 5051 Series door closers with their integrated door systems. Advancing Syntégra™ Door Systems deeper integration objectives, the CLC25 provides the optimum solution for applications benefiting from concealed door controls. 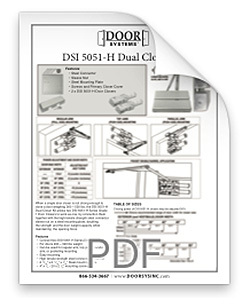 The CLC25 offers a feature set typically found only in full-size surface closers. 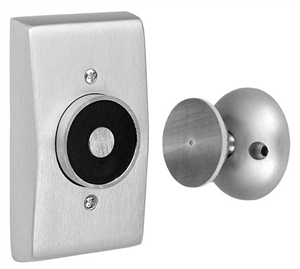 This ultra-compact concealed closer provides flawless door control with out-ofsight aesthetic benefits. 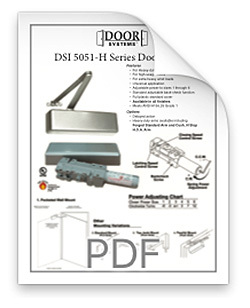 The DSI-200 Mag Holder wall-mounted magents allow fire/smoke doors to remain held open until, in the event of a fire, released by a fire control system. 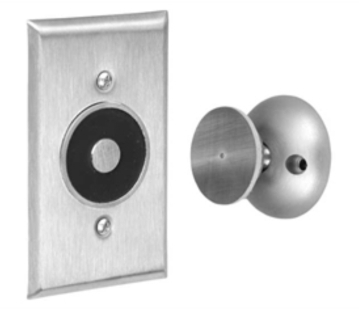 These heavy-duty magnets are fail-safe by design and are used in conjunction with our manual door closers that control the door when power is interrupted.